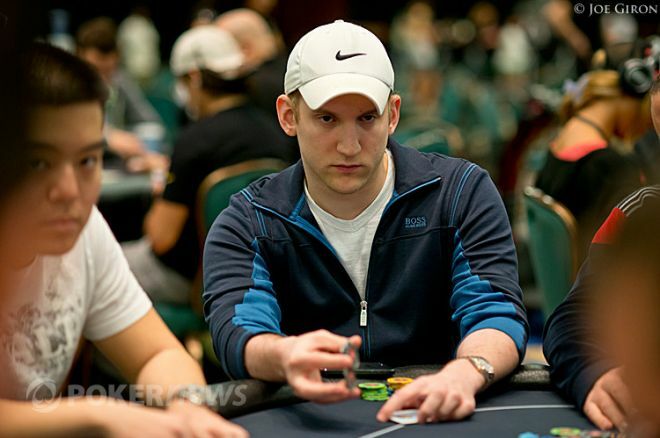 Jason Somerville Discusses Departure from Ultimate Poker & Future of Run It UP! Last month, PokerNews spoke with Jason “JCarver” Somerville about Season 2 of his poker web series "Run It UP! ", which documented his quest to run $50 up to $10,000 on Ultimate Poker. Now, as a result of the site’s exit from the New Jersey market, Ultimate Poker has cut ties with Somerville. Ultimate Poker exited New Jersey after ending its nearly year-long partnership with Trump Taj Mahal Associates LLC, which had filed for Chapter 11 bankruptcy protection. "We are grateful to the State of New Jersey and the New Jersey Division of Gaming Enforcement for allowing us to be one of the first companies to bring online gaming to the citizens of New Jersey and appreciate their leadership as one of the first states to allow online gaming," Tom Breitling, Chairman of Ultimate Gaming, said at the time. "We are working closely with the Division of Gaming Enforcement to ensure a smooth transition for our online gaming customers as we wind down our New Jersey operations." Ultimate Poker focused its attention on the Nevada market, but in the process have implemented some cost-cutting measures including ending sponsorship deals with former pros Brent Hanks, William Reynolds, Phil Collins and Jeremy Ausmus. With Somerville the latest casualty, that leaves just Antonio Esfandiari, Dan O’Brien and Danielle Andersen on the team roster. PokerNews: Run It UP is no longer associated with Ultimate Poker. Which party initiated the split and why? Somerville: As was widely reported, Ultimate Poker's withdrawal from the New Jersey market forced the company to make some significant changes to their budgets and strategies, and unfortunately it didn't make sense for them to continue working with Run it Up and myself given their new restrictions. When did you first learn that UP and you would be parting ways? I had heard towards the end of September that there was a bit of a mass exodus and was prepared for them to cut me but it all happened rather suddenly around the halfway point of the Run it Up season. What does this mean for the future of Run It UP? It's a change, certainly, but one I'm optimistic about. My goals with Run it Up are to create the best poker content and poker experiences possible for our global audience; Ultimate Poker's goals are to survive in the Nevada-only poker market. Being on our own for the first time allows us to wholly focus on what's really important to us and our fans without having to align with and prioritize our partner's goals at the same top level as our own. I'm focused on finishing out season two of Run it Up on YouTube (runitup.tv), delivering awesome Twitch streams at least two days a week on Wednesday and Sunday at 2 p.m. PT, and hosting an awesome Run it Up event at the Peppermill in Reno from October 17-26. What was your deal with UP, which ended on 10/1? Likewise, can you tell us a little more about your Twitch deal, which began on the same date? My deal with Ultimate consisted of a normal pro contract as well as a licensing agreement wherein Run it Up Season 2 would be posted on their YouTube page. When Ultimate decided to terminate early, we agreed to allow me to repost all the Season 2 videos on my channel and continue there with the rest of the episodes. Our new partnership with Twitch came about when they reached out to me looking to explore poker streaming in more depth. I've always enjoyed watching content on Twitch and really liked hosting my own poker streams earlier this year, so it made perfect sense to start streaming more regularly. Some former Ultimate Poker pros, specifically William Reynolds, have been publicly critical of UP since their departure. How do you feel about the company and your time representing the brand? I moved to Las Vegas about 18 months ago as part of my deal with Ultimate Poker and in the last year and a half have had enough ridiculously sick experiences to last a lifetime, and a lot of that is thanks to Ultimate. I feel very lucky to have spent quality time with some UFC fighters and executives, to have gone to so many great fights, and to have had a chance to learn more about the poker industry from a few very bright minds. All I feel is grateful for the opportunity and I wish them the best of luck. Likewise, how do you feel about people like Reynolds speaking out against UP? I don't feel anything about it. I have more than enough on my plate with Run it Up and my other business opportunities that I don't spend my spare time reading what other people have to say about things that I don't really have any involvement in. You eclipsed 5,000 live viewers the other day. That is a high figure. How do you feel about hitting that mark? Oh man, that was so cool. The concept of doing a live performance for five hundred people blows my mind - that's a pretty packed auditorium - so doing a show for 5,000 people is incredibly awesome, even just on the internet. It's both very motivating and very humbling to see so many people checking out and enjoying the show. Your show is extremely popular, you’re a WSOP bracelet winner that lives in Nevada. It would seems WSOP.com may be a logical fit. Have you had any talks with them? Would you be interested in working something out with them? I haven't spoken to the WSOP but it would of course be an honor to work with one of the most prestigious brands in poker. I'd welcome a discussion with any potential partner who felt like working with Run it Up and myself could bring about mutual value.